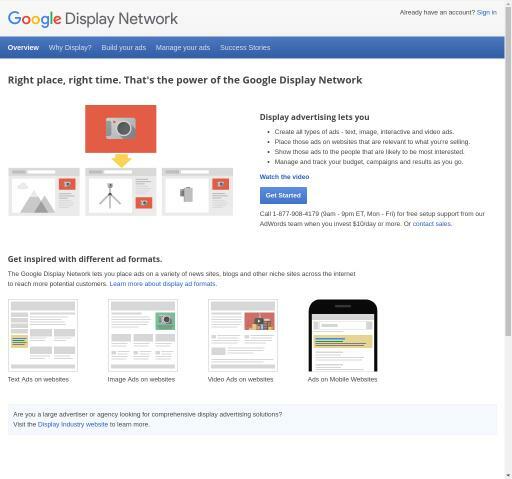 Google Display Network Video, Text, Mobile, Rich Media advertising network details. The Google Display Network enables advertisers and marketing agencies to place ads on a wide range of news websites, blogs and other niche sites to reach their target customers, in apps – across devices. This platform offers many ways to display ads, including text, gmail, banner and app. Thanks to its millions of websites, news pages, blogs, and Google websites, the Google Display Network reaches approximately 90% of online users all over the world. Specialized options for targeting, keywords, demographics, and remarketing help advertisers and marketing agencies to persuade customers to pay attention to their ads, consider your products or services, and buy them. You can check Google Display Network reviews on Affbank and ask Google Display Network Team any question by using the contacts above, especially about how to earn money!